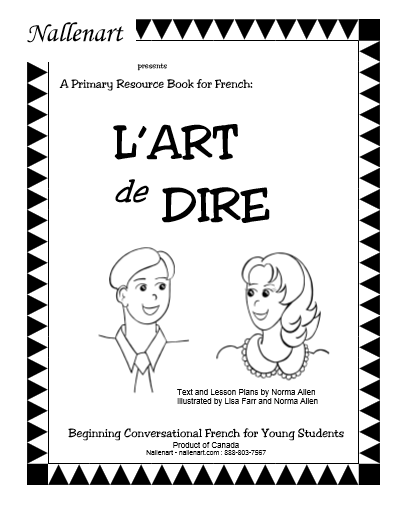 For children in grades K to three, L'Art de DIRE is a great introduction to learning French, with detailed lesson plans, reproducible teaching aids and a totally oral approach. 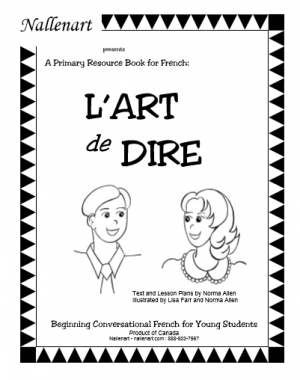 For children in grades K to three, L’Art de DIRE is a great introduction to learning French. 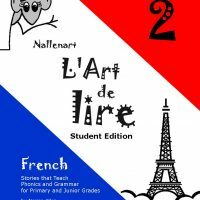 Detailed lesson plans, reproducible teaching aids and a totally oral approach make this book ideal for teaching French to children who are not yet ready to learn to read in French. Lesson plan pages are designed to facilitate frequent review, the key to success in language studies. Projects and presentations for the children keep learning interesting. Prepared tests make it easy to assess progress. Reproducible picture cards and games make learning fun. L’Art de DIRE includes ideas for bulletin boards. Ideas are adaptable for home or classroom use. Mp3 audio files introduce vocabulary and phrases. Supplementary material may be ordered separately.